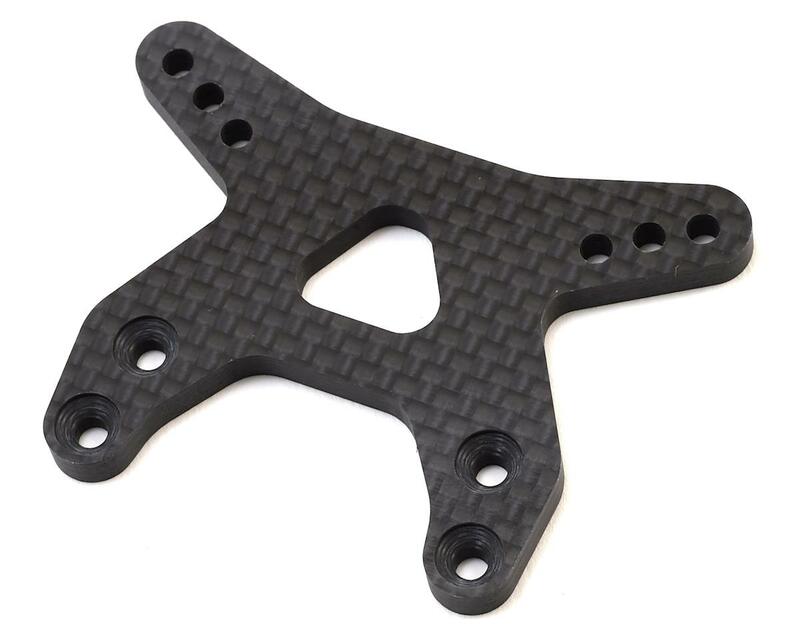 Team Associated B6.1/B6.1D Carbon Fiber "Gullwing" Front Shock Tower. This is the replacement gullwing front shock tower. Package includes one shock tower. 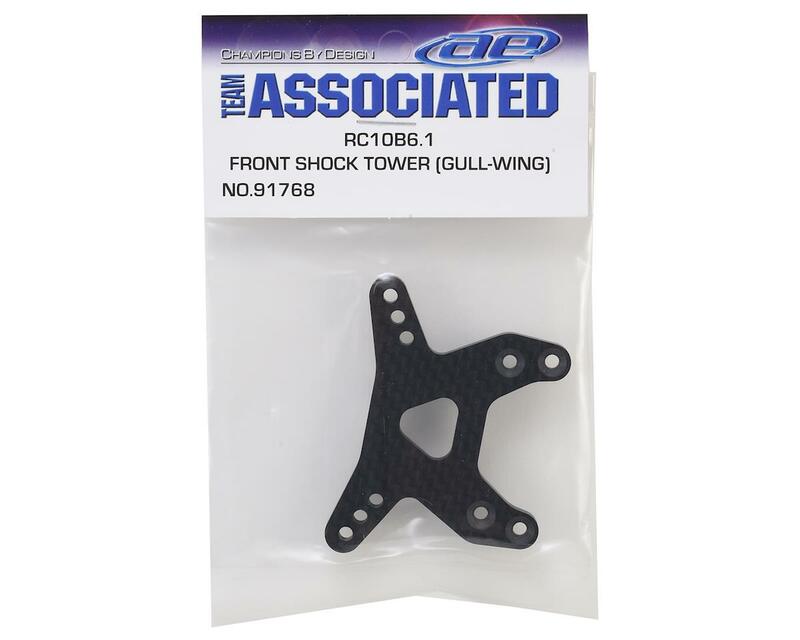 This tower also replaces the ASC91663 B6/B6D Gull Wing Front Shock Tower.